We have come to the 5th and final location in our Summer Destination Wedding series. Over the weeks we have explored fashion inspiration for the wine lovers in Napa Valley, the laid back island of Nantucket, bold and fast paced Miami and the ever so glamorous Hamptons. Last but certainly not least on our list of dream destination-wedding locations is Savannah Georgia. With its old world glamour and southern hospitality Savannah is the ultimate place for a wedding. You don’t have to be a southern belle to attend a wedding in Savannah but I highly recommend you look the part. When choosing what to wear you should have fun with it. Use this as the chance to really dress up and feel girly. Styles to consider should include floral prints; full skirts bright colors or ladylike lace. 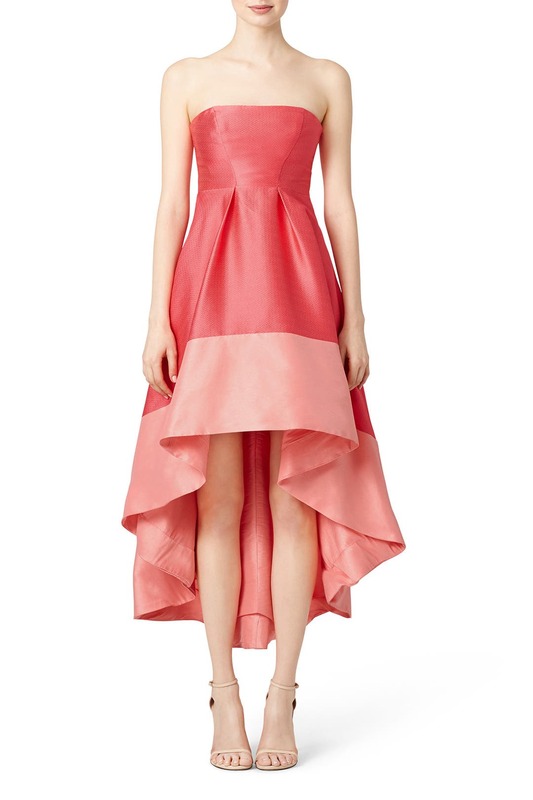 This stunning dress from ML Monique Lhuillier is perfect because of its bold color and full skirt. The high low hem is just icing on the cake. For real feminine flare you can’t go wrong with this gorgeous lace dress from BCBG Max Azria. I would love to wear this dress to more than just a wedding. 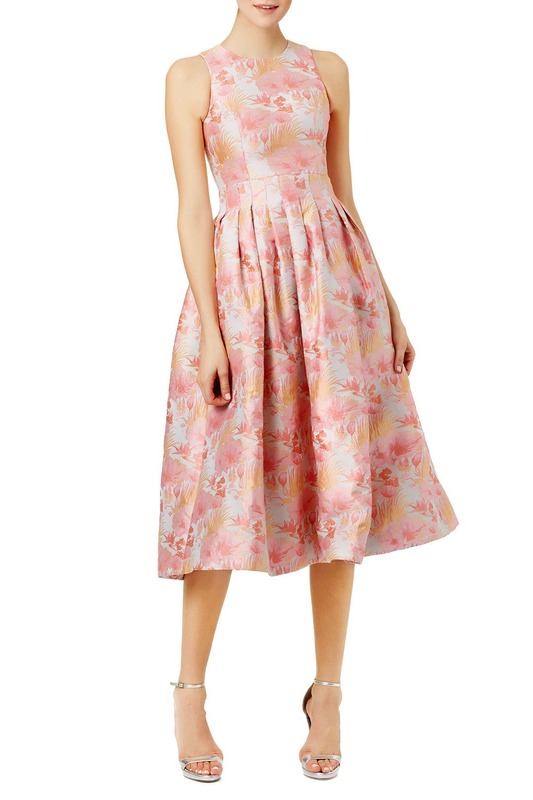 This floral dress from Cynthia Rowley is stunning with its floral print it is not only beautiful but oozes sophistication! If you have a wedding to attend this summer regardless of the destination be sure to shop Rent The Runway. You can wear designer clothes to your event and not break the bank. I call that a win win! I hope you had as much fun over the past 5 weeks as I have. Enjoy your summer and stay stylish!